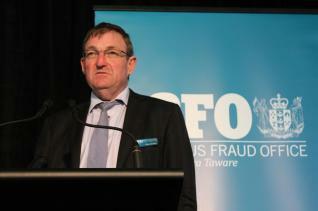 Moves by the Serious Fraud Office (SFO) and other regulators to detect crime earlier through intelligence gathering and co-operation would see a finance company sector style meltdown acted on much earlier if it was to happen again, says the SFO’s acting CEO Simon McArley. In a Double Shot interview with interest.co.nz McArley noted there had been plenty of rumours of problems within finance companies around before they started collapsing. “If we’d applied an intelligence led approach at that point, and if that had worked across all the regulatory agencies, we may well have been able to intervene at a much earlier point,” McArley said. Asked how much earlier McArley noted that when he was working as a lawyer in 2001-02 there was already talk that all was not right with some finance companies. “What we want to do is to be at that position, not necessarily conclusively drawing any conclusions, but being able to get together with our sector partners – the FMA (Financial Markets Authority) and other organisations and say ‘look we need to have a close look at this. We need to keep an eye on what’s happening’,” said McArley. Japanese shares seen as benefiting from the 2020 Olympics surged too far, too fast after Tokyo won hosting rights, with the rally outweighing the estimated economic impact, according to Shinkin Asset Management Co.
About 13 trillion yen ($131 billion) was added to the market capitalization of the Topix index last week after the city’s winning bid was announced, data compiled by Bloomberg show. One-third to half the gains were from investors trading on the Olympics news, Shinkin Asset said. The Tokyo Metropolitan Government projects the event will boost Japan’s economy by 2.96 trillion yen in the next seven years. 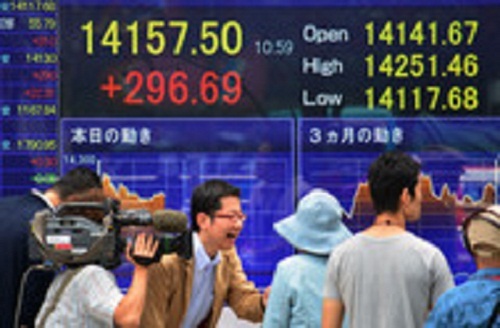 The Topix climbed 3.7 percent in the two days after Tokyo’s selection. Shares had fallen on Sept. 6 after Spanish newspaper El Mundo said Madrid was set to win the hosting rights. Gauges (TPX) tracking builders, developers, service industries, airlines, logistics stocks, steelmakers, machinery companies and cement producers listed on the Topix added a combined 4.9 trillion yen in market value last week, data compiled by Bloomberg show. That’s about 37 percent of the total increase. 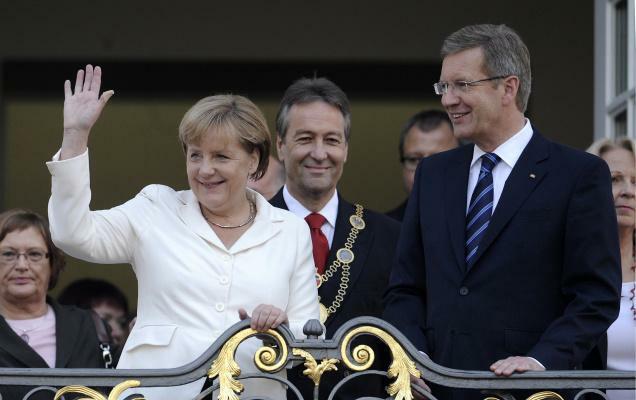 Chancellor Angela Merkel turned the campaign focus to her stewardship of Europe’s biggest economy, warning that plans by the opposition Social Democrats to raise taxes would upend Germany’s robust labor market. Merkel used a rally in the eastern town of Wernigerode yesterday to dismiss the notion that the government must create jobs, instead touting her Christian Democratic Union party’s alliance with business. She redoubled her attacks on SPD chancellor candidate Peer Steinbrueck’s planned tax increases for the wealthier as “poison” for the economy. Backing for the CDU and its Bavarian sister party, the Christian Social Union, held at 41 percent in an FG Wahlen poll for ZDF television released today, while her Free Democratic coalition partner gained a point to 6 percent. That’s enough to secure a rerun for Merkel’s current government if repeated on Election Day, and the first time in almost four years this poll has shown a majority for the present coalition, ZDF said.